Alice Walton is an heiress to the fortune of Walmart Inc. As of 2019, Walton had a net worth of $42.5 billion, making her the 18th richest person in the world. 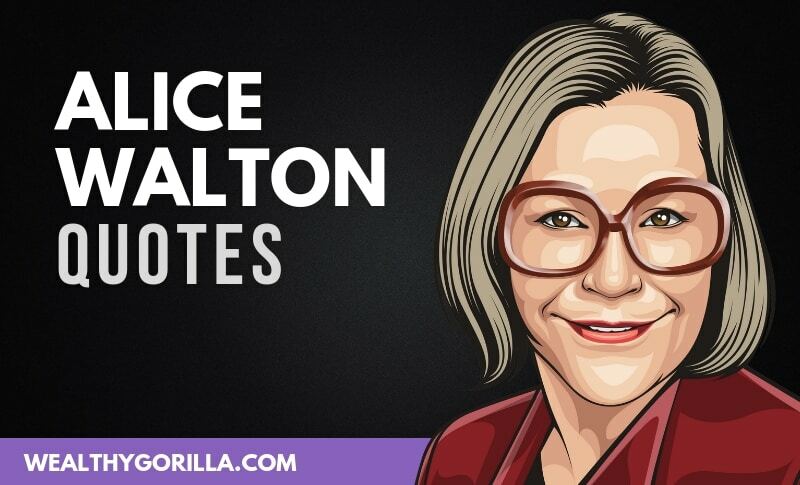 Check out our list of wise Alice Walton quotes that all business people can read and learn from. 29.”Each Wal-Mart store should reflect the values of its customers and support the vision they hold for their community. Don’t forget to share this list of inspirational quotes with your friends and family. If you enjoyed these quotes from Alice Walton make sure you check out our other quote articles. Which are your favorite Alice Walton quotes? Leave a comment below.